The company "SINT" has been for many years the exclusive representative of the OCP company OCP InK Ltd, (Germany) in Ukraine. It is German company OCP InK Ltd., - occupies one of the leading positions in the world for the production of water-soluble, pigment and sublimation inks for inkjet printers / plotters Canon, HP, Epson. The modern market offers many brands of ink, various manufacturers. Selecting ink is important to enlist the support of specialists who can help you in choosing, consult on any issues, and ensure the uninterrupted supply of high-quality ink. 1. OCP in its characteristics correspond to the parameters of the original ink. You can refill the cartridges more times, for much longer you will be served by your printer and at the same time will always get the quality of printing, like the original cartridges. 2. More than 300 kinds, compatible with a particular ink printer model. The company does not produce universal ink - each kit is designed for each printer! 3. The company produces more than 4000 tons of ink per year !!! OCP is the main supplier of ink for famous chains of stores and service centers around the world. 4. Fully automated production system. Man only watches the process. Due to this, the risk of errors is reduced to almost zero. 5. The company produces all its ink only in Germany !!! 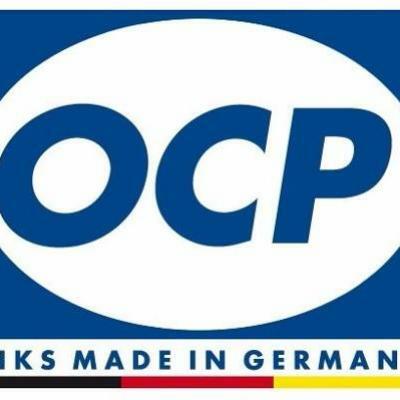 OCP ink is produced exclusively in Germany. OSR company was founded in Germany by Horst-Gerhard Edelmaer and Dr.Siegfried Koch in August 1994 !!! 7. OCP ink does not dry! Leaving the printer out of work, do not worry! Cleaning the print head is not required, the substances added to the OCP ink will not allow them to dry. 8. High lightfastness of OCP ink! By the way, the resistance to fading is one of the reasons for the relatively high cost of ink, as expensive dyes and pigments are used. Sometimes you can even "outdo" the original! 9. 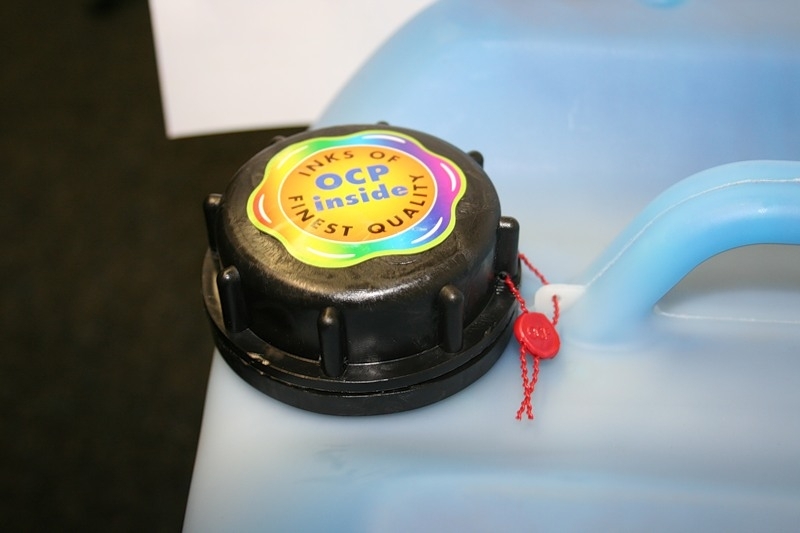 OCP made the best ink for thermojet. And in all respects. There is an opinion that the print head of the printer, when using the OCP, lives longer than on the originals. 10. Shelf-life is officially 3 years! However, testing of samples that have been stored for more than 10 years has not revealed any changes. 11. OCP Inks are easy to buy! For more than 20 years we have been providing uninterrupted supplies of German OCR ink. To receive consultation and to get ink it is possible in our Internet shop.